Last week, we received information regarding the Honor 10 Lite that said that the phone would be launching in India this month. Now, the company has sent out ‘Save the Date’ invites for the launch of the Honor 10 Lite in India. The invite doesn’t reveal a lot about the event – such as the venue or time – but it does mention that the Honor 10 Lite India launch event will be held on January 15th. Flipkart already has a dedicated listing page for the handset on the website and app. It should be noted, though, that Flipkart has a separate teaser page for a new Honor-branded product that will be unveiled tonight at 8pm. This Flipkart teaser page doesn’t really reveal much about the upcoming product except that the phone will feature a waterdrop notch. Apart from that, the page states that ‘Honor is all set to revolutionise selfies in 2019’. It was previously thought that this product will be the Honor 10 Lite but with a January 15th launch date for the smartphone, it remains to be seen which new Honor phone will be making its way to India tonight. 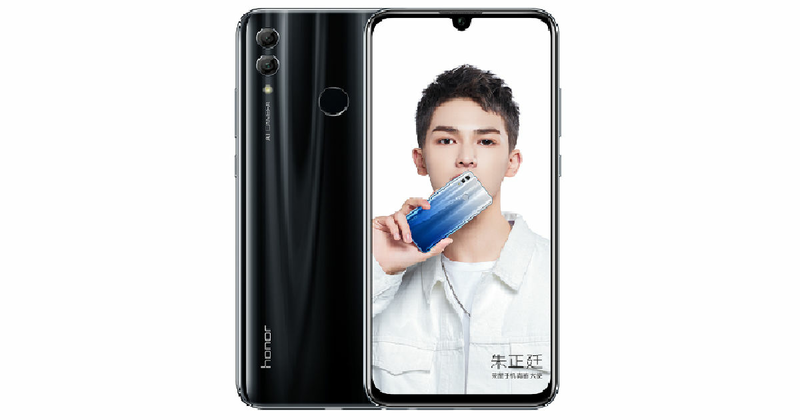 Since Honor has already launched this smartphone in China, we already know all about it. The Indian variant will not have any features compared to the variant sold in China. The phone comes with a 6.21-inch FHD+ display that features a tiny waterdrop notch at the top. The notch houses the 24-megapixel selfie camera, which will apparently revolutionise selfies this year. The Honor 10 Lite is powered by the HiSilicon Kirin 710 chipset, which is a powerful and efficient mid-range processor built in-house by Huawei. The processor is coupled with up to 6GB of RAM and 128GB of internal storage; a microSD card slot is available for storage expansion. As for cameras, there’s a dual-rear camera setup with a 13-megapixel sensor paired with a 2-megapixel depth unit. The phone will run Android 9.0 Pie-based EMUI 9.0 custom skin and a 3,320mAh battery will keep the lights on. It will be available in four colour options, namely, Gradient Red, Lily Valley White, Gradient Blue and Magic Night Blue. We have no clue regarding the exact Honor 10 Lite price in India, but it is expected to start around Rs 15,000 for the base variant and the top variant could cost around Rs 20,000. We will find out the final details tomorrow.